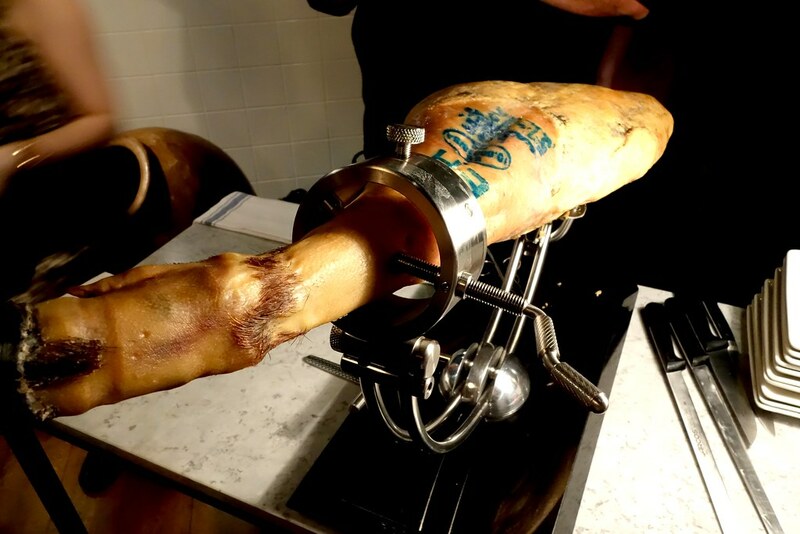 “¡Socorro, jamón!” Is the punchline that almost always comes up whenever we’re in a Spanish speaking country, or recounting to others my stepmother’s almost hilarious grasp of the language. She was on a six-week trip in Costa Rica around fifteen years ago, driving along a dirt track, when a wild pig suddenly darted in front of the vehicle causing her to scream “help, ham”! 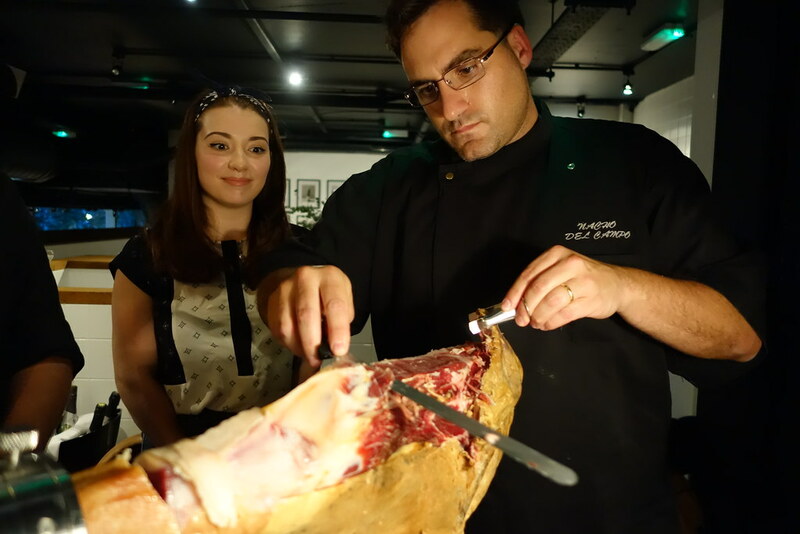 Never in a million years would I have guessed that I might actually have a use for that phrase until I was invited for a jamón carving masterclass at Camino, Bankside. 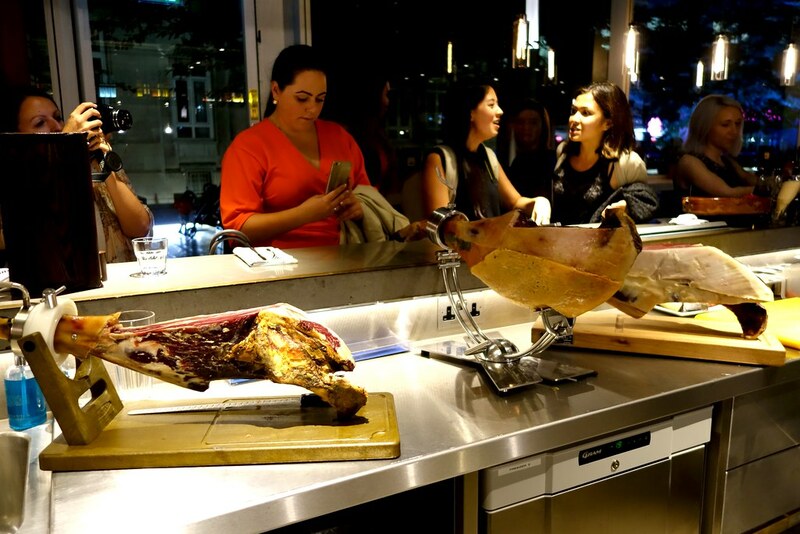 The lovely folks at Zomato (by far my favourite food app) invited me along to their #ZomatoMeetup for a night of cava, tapas, and jamon carving. The Southwark location is really well situated, a short walk away from London Bridge station. 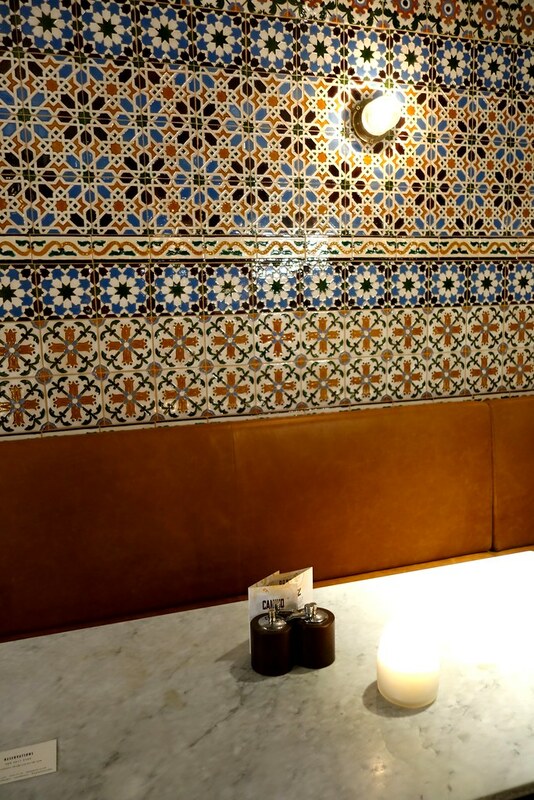 Camino has a laidback, contemporary feel to it – I really liked the tiles downstairs in particular. 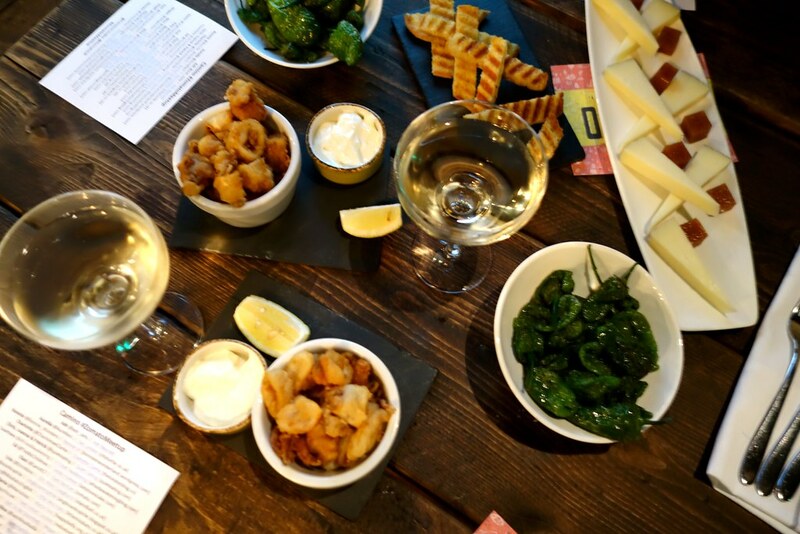 We sipped on Cava, and munched on their delicious tapas while the others were working their magic on the hams. 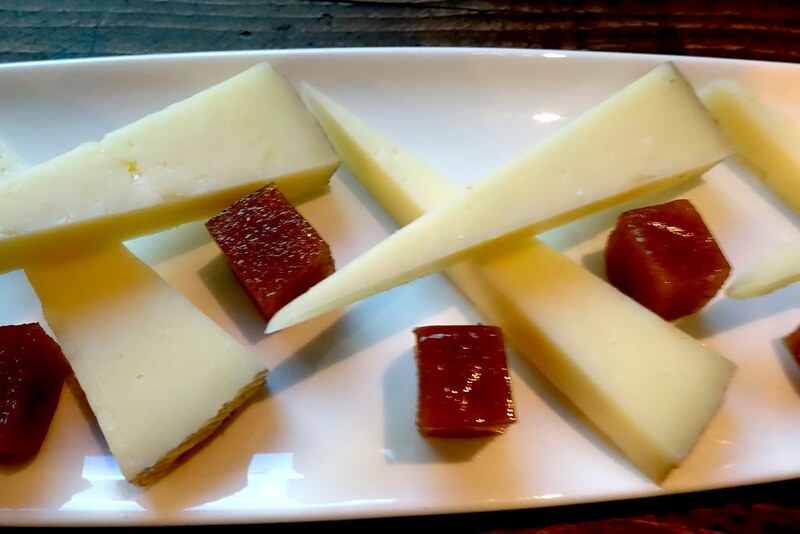 I had Manchego with quince jelly, tortilla de patata (a Spanish potato omelette), and copious amounts of delicious ham while the others had pan con tomate (bread with tomato and garlic) and chipirones a la andaluza (squid with aioli and lemon). I had the fortune (or misfortune) of getting five flaming hot padron peppers in a row, much to the chagrin of others who were drying to try one of the hot ones themselves! 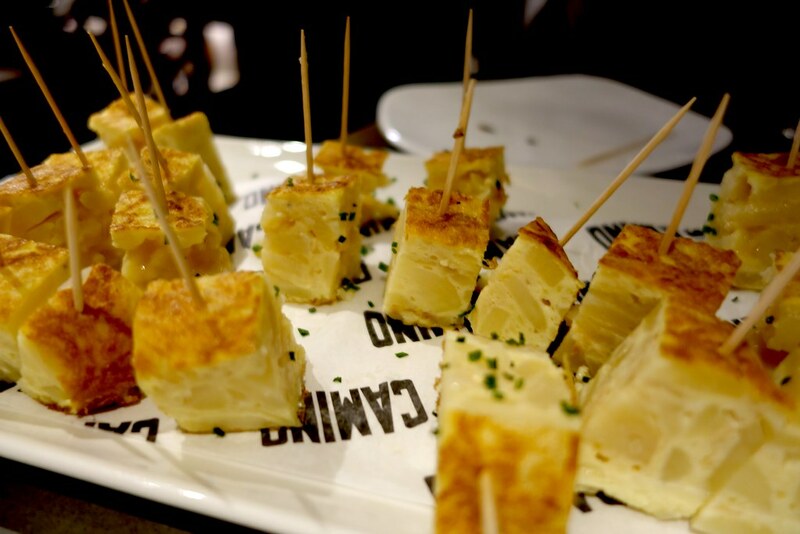 The tapas were lovely – the portion sizes were extremely decent, and the tortilla in particular took the edge off of the saltiness of the ham. 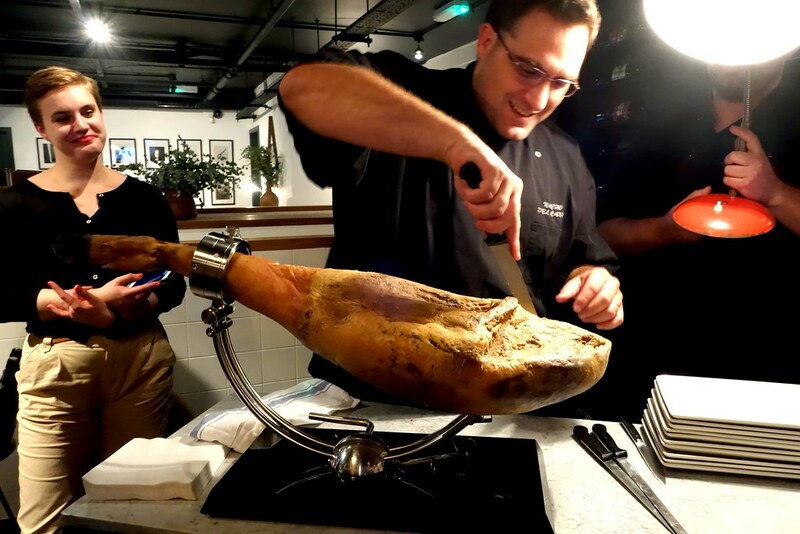 Speaking of ham, after we had gorged ourselves finished our tapas, we were given a masterclass with Chef Nacho del Campo. My favourite fact from the evening was finding out that the higher quality the ham, the more likely the fat will dissolve into liquid form when you rub it between your fingers. The more you know! 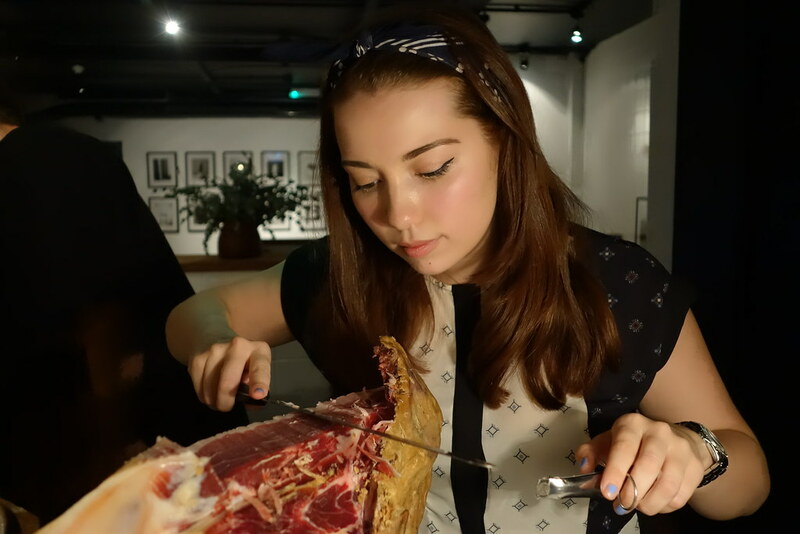 Following one of the funniest photos of me looking at food of all time (my boyfriend says I always look like this when there’s food around), we were also able to try some of the other hams, including Jamón Teruel DO (a white ham, that had been cured for 24 months), Jamón Iberico Bellota Etiqueta Roja (a red labeled ham, cured for 32 months), and Jamón Iberico Bellota Etiqueta Negra, Cinco Jotas – cured for 36 months, and also referred to as the “Rolls Royce” of hams. 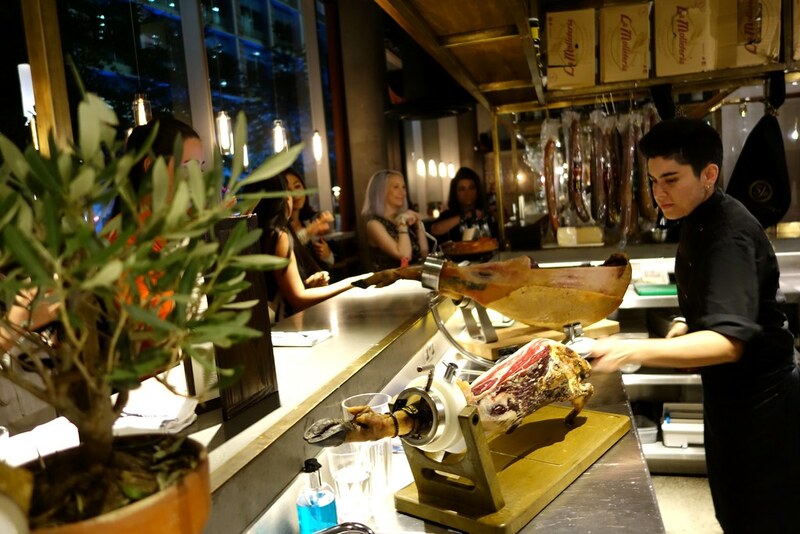 The “Rolls Royce” was absolutely delicious – it had a smokier flavour, and tasted more complex than the others, although in my opinion the Iberico Cebo was a very close second. I had a wonderful time at the masterclass, and really felt like I’ve learned a valuable skill! At £30 a pop, it would be a really nice gift for a foodie, or a little treat for yourself. 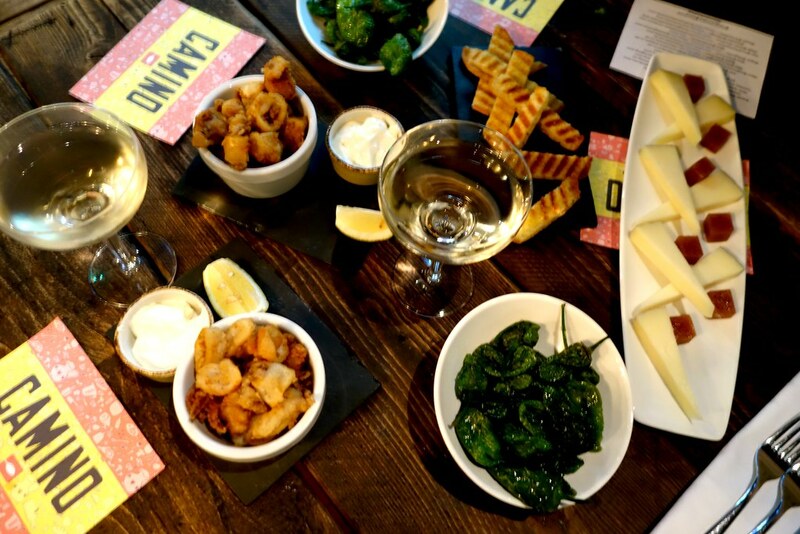 Overall I really enjoyed the food and the class at Camino, and will be back for tapas soon! 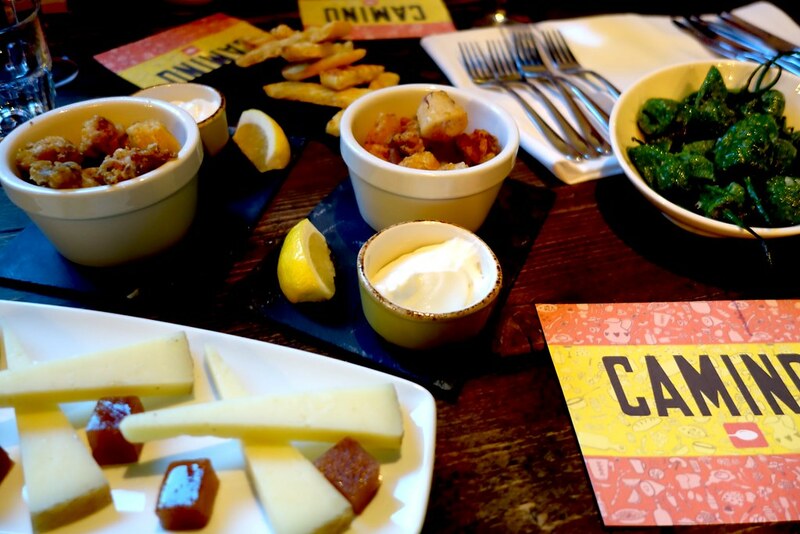 Camino Bankside is located on 5 Canvey Street, London, SE1 9AN. 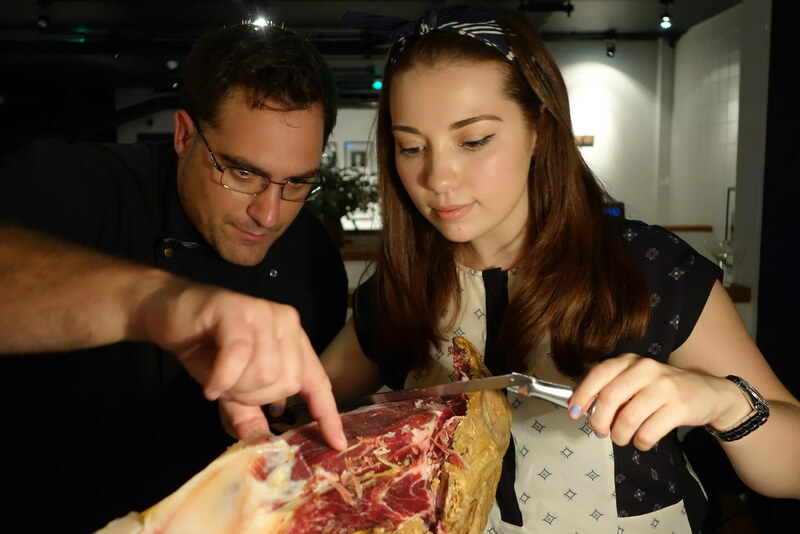 Would you do a jamón carving masterclass ? Be sure to comment below, and don’t forget to follow me on Twitter, Facebook or Instagram! * Although I was invited to Camino, opinions are fully my own.